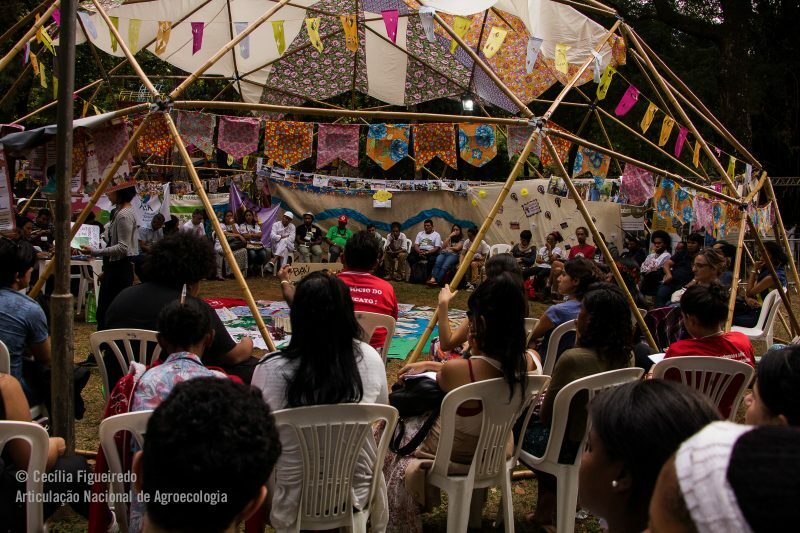 Reporting from the IV National Agroecology Encounter in Brazil – Cultivate! While in Europe the debate continues about whether agroecology should incorporate other knowledges and cultures at the same level as science, thousands of people at the recent IV National Agroecology Encounter (ENA) in Brazil strongly affirmed that agroecology is a united struggle. As a leader from the women’s movement asserted: “Agroecology is not only about creating a more horizontal relationship between humans and nature, but also between humans. If we cannot treat people equally, we will never be in harmony with nature”. The ENA, held in Belo Horizonte from May 31 to June 3, reflected the strong emancipatory and unifying character of agroecology in Brazil. Over 2000 representatives of movements of farmers, landless workers, indigenous peoples, black quilombolas, women and LBTGs joined hands with people who are active in community supported agriculture, urban agriculture, permaculture and others. They show that a united agroecology also means a politically stronger agroecology. Cultivate!‘s Leonardo van den Berg and Margriet Goris participated in the ENA and share their impressions here. Each four years at the ENA, different groups and movements converge to mould strategies for new policies and to strengthen their movements and rights. This has not been without impact. Previous ENAs have resulted in the creation of a new generation of public policies that were praised by the UN, and through which farmers and other movement actors have been able to access land and construct new agroecological practices and local markets. Participants show that a united agroecology is a culturally richer agroecology. The central theme of the 2018 ENA was ‘Democracy and agroecology: uniting city and countryside’. Social movements and artists performed dance, music, theatre and poetry, incorporating their knowledges and struggles. 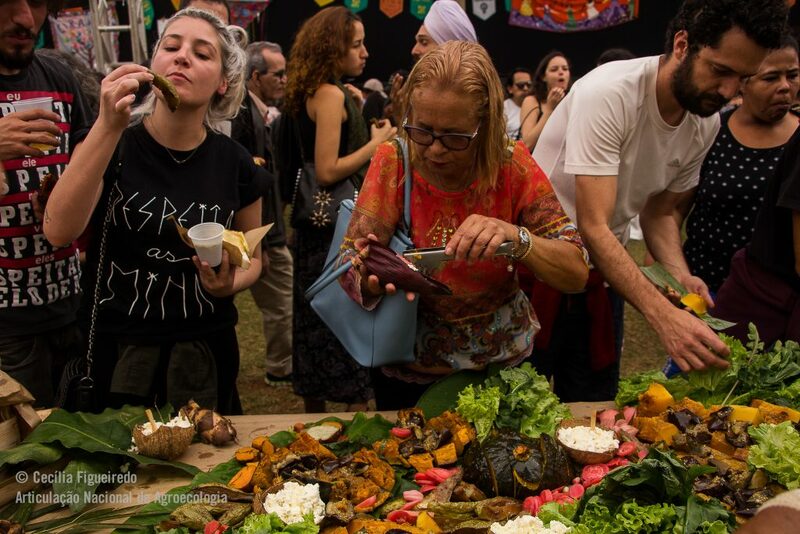 A variety of traditional and new foods were prepared ranging from vegan hamburgers produced on urban soil to drinks extracted from medicinal plants in the indigenous territories. The ENA also show that a unified agroecology is an ecologically smarter agroecology. Delegates presented a diversity of practices related to farming, resource conservation and food production that correspond to local biophysical circumstances while meeting producers’ needs and aspirations. To ensure that the vast amount of knowledge and experiences that agroecology in Brazil holds would be represented at the encounter, a series of preparatory processes took place in various bio-cultural territories of Brazil. These included the semi-arid Cerrado and Caatinga, the Atlantic Rainforest, the wetlands of the Pantanal, the Southern plains and the Amazon rainforest, but also in urban metropoles such as São Paulo, Rio de Janeiro, Belo Horizonte and Recife. These preparatory encounters included horizontal exchanges, inspired by the peasant-to-peasant movement, and were held in various rural communities. Delegates to these territorial as well as the national encounters were selected on the basis of fair representation: at least 70% had to be farmers, 50% women and 30% youth. The ENA culminated in a political statement which praises the agroecological policies that have been constructed in Brazil since the first ENA. The statement however also expresses concerns over the state of democracy in Brazil and the dismantling of agroecological and social policies following the impeachment of president Dilma Rouseff. It reaffirms the need for movements and territories to unite and strengthen the networks that constitute the agroecological movement to counter the dire political situation and foster democracy. Reflecting on the ENA, and agroecology in Brazil in general, we suggest that Europe should let go of narrow, scientific definitions of agroecology and instead encompass diverse cultures and movements, rooted in different territories, in a wider, emancipatory struggle. This will create a politically stronger, culturally richer and ecologically smarter agroecology.